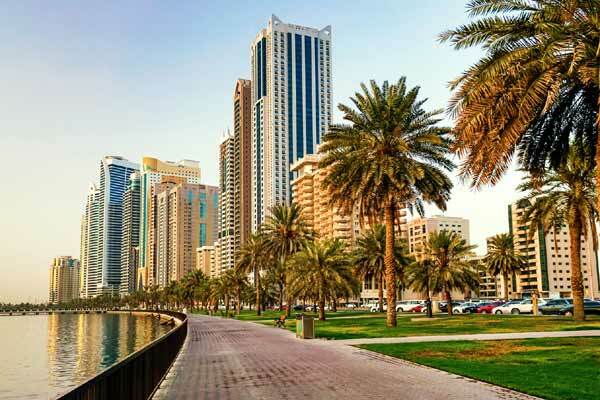 Leading real estate companies and developers from the UAE and region will be in Sharjah to take part in the sixth edition of the Real Estate Investment Exhibition-Acres 2019 which kicks off on March 19. The three-day expo is being jointly organised by the Sharjah Chamber of Commerce and Industry (SCCI), the Sharjah Real Estate Registration Department and the Real Estate Sector Business Group in Sharjah. It will be held at Expo Centre Sharjah under the patronage of Sheikh Sultan bin Mohammed bin Sultan Al Qasimi, Crown Prince and Deputy Ruler of Sharjah and Chairman of Sharjah Executive Council. Acres has become one of the region’s most important real estate investment exhibition, attracting the largest real estate developers in the UAE and the GCC countries. The exhibition comes against the backdrop of positive real estate growth and the continuation of construction activities to meets the increasing demands on housing and offices in the emirate. Saeed Ghanim Al Suwaidi, the chairman of Real Estate Sector Business Group, stated that organising bodies have put in place final preparations for the sixth edition of Acres. The exhibition plays a key role in promoting the real estate investment environment in Sharjah and launching unparalleled real estate projects in the region, he added. The 2019 edition will attract new real estate companies seeking to enter regional markets, where all of the exhibition’s pavilions have been booked weeks ahead the commencement, which highlights its importance being an opportunity for participating companies to showcase their products, said Al Suwaidi. During the exhibition, more than 16 specialised workshops will be held and presented by a number of specialists from concerned departments as well as by experts in construction engineering, investment, law, taxation, architecture.